More than 100 Training workshops conducted over last 6 years on various dermato surgery procedures like Basic and Advance Botulinum toxin indications, Dermal Fillers, Hair Transplant, PRP, thread lift, mesotherapy, Dr. Pradeep Kumari all across India Nov. 2010- March 2016. “PRP and it’s various usage in combination with dermatology procedures” at Biobridge conference ITALY September 2013. Hands-on workshop on PRP and Mesotherapy at Pune August 2013. PRP in dermatology at PIGMANTARYCON GOA July 2013. 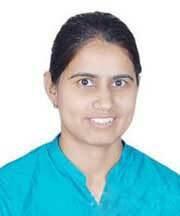 Dr. Pradeep Kumari Trained VLCC Delhi dermatologist in India on PRP and Thread lift June 2013. Workshop and Hand on the Training session for a dermatologist in India on BOTOX and PRP at ACSICON 2013 at Bangalore April 2013. Full Day hands-on workshop at Dermacon January 2013 at Ahmedabad. Workshop Demonstration and training on BOTOX, Dermal Fillers and Intralesional procedures for hyperpigmentation disorders” at CUTICON 2012 Maharashtra; Nanded; December 2012. “Do you think of hormones in dermatology” at monthly meeting Pune dermatologist in India association November 2012. “Upper face basic and advance indication for Botulinum Toxin” talk and panel discussion on facial Aesthetics at CSI 2012 Mumbai. Workshop on dermal fillers in Dermacon 2012, Jaipur. “Physical properties of dermal fillers”; Nov. 2011, Delhi; India Master Class, Pre IMCAS India Symposium. PACE academy: regularly Conducts multiple training programs in cosmetic dermatology procedures for a group of 5-50 doctors. Periorbital Age management’ at INDOMEDICON 2011; Delhi. Invited speaker for various organizations like Praj industries, Cognizant, Wipro, Airforce station, Pune on skin care and other topics. “A Comparative study of Montelukast and Histaglobulin in chronic urticaria” at CUTICON 2007, AC Parikh award session by IADVL, Maharashtra Branch. “A case of Cysticercosis Cutis” at Dermacon 2006, 34th National IADVL (Indian Association of Dermatologist, Venereologist & Leprologist) Conference, Hyderabad 2006. First prize in ICMR workshop on ‘Human Genetics’ at Govt. Medical College, Miraj, 2003.
hair transplant to dermatologist and aesthetic surgeons.